Ignition Casino™ Review 2019 – $1,000 Ignition Bonus FREE! Visit Ignition Get Your Bonus! Ignition Casino is powered by several leading software providers, including Realtime Gaming. Fast, Reliable Withdrawals ? All legitimate, real-money online casinos like Ignition have strict anti-fraud screens, and that may create a short withdrawal delay. Join Ignition Casino today and get your first deposits matched up to $1000! ? Please read the terms and conditions carefully and make sure to take full advantage of the bonus offer. 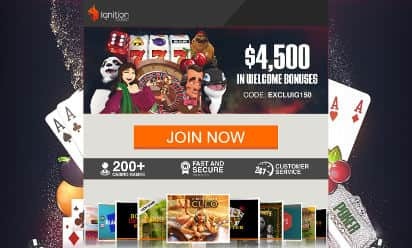 Many online casinos are promoted for their longevity but here is a brand-new one we want to showcase – Ignition Casino. Ignition Casino was established in 2016 by the strong Lyndon Limited Casinos corporation. Its young age is immediately apparent in its sleek modern design, simple and elegant user experience and its support of innovative payment methods. Ignition Casino also offers something few other casinos offer in 2019 – open play to US players! Registered and monitored by the Kahnawake Gaming Commission based in Canada, Ignition Casino offers safe, secure gameplay, a wide range of all your favorite games. They also offer free practice play for those who are not ready to deposit real cash straight away, and a reliable phone customer service that can address all your questions and needs. And while it is still considered a relative newbie in the market, its multiple loyalty programs and constant promotions make it stand out and attracts a large number of US players to its virtual tables and reels every day. Ignition Casino offers games from a number of different game developers, such as Genesis Gaming, Betsoft and Relax Gaming. The main body of their games are by two main providers: Rival Gaming and RealTime, who both offer excellent video quality alongside smooth gameplay and payout rates as high as 97-99%. As all these developers are also independently monitored and audited for game fairness, you can rest assured that there will be no cheating on the site's part – you get what you are promised at Ignition Casino. What the large number of different game companies means is that the games you can play at this casino are the cream of the crop, as the casino can pick and choose what to offer you, instead of depending on a single game provider like many casinos do. So, you can be sure that what you get at this online casino is only the best of the best. As all other online casinos, Ignition Casino capitalizes on its online state and lack of space restrictions by offering a diverse range of different games. 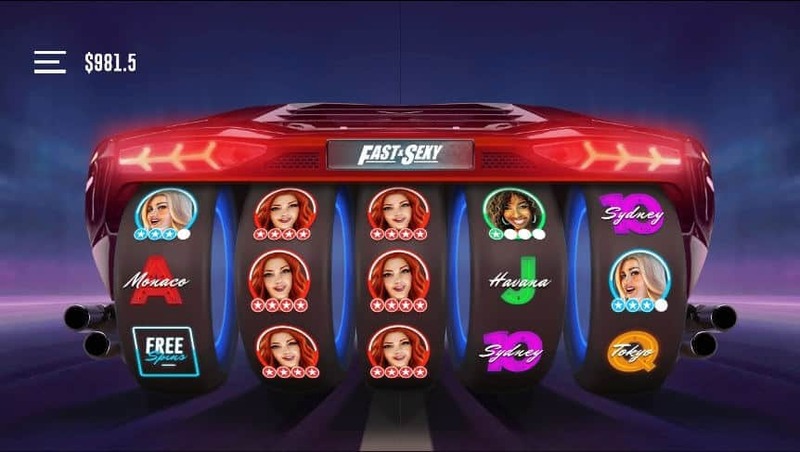 To begin with, there are over 160 separate slot titles on offer, that range from basic fruit reels to attractive-looking 3D slots. In particular they offer everything from old favorites such as Aztec's Treasure, to progressive jackpot games like Major Moolah – one that can make you a millionaire in moments. In addition to offering many titles, Ignition has also made sure to provide you with information on each game: rules, payout rates, bonuses and everything else you may want to know before picking a game are available. This makes choosing a game much easier than at other casinos. On top of all that there is also the Practice Play mode, which lets you play games for free! Then, of course, there is also poker - and quite a lot of it. Ignition Casino offers all the basics, such as Fixed Limit, Omaha, No Limit Hold'em, and all other favorites. In addition to these, there are also a whole load of video poker varieties on offer, like Double Bonus, Joker Poker, Bonus Poker Deluxe, and many others, some of which are multi-hand games of up to 52 hands at once! There are even non-standard online poker games. The most interesting of which is Zone Poker, which gives you 15 seconds to react before it relocates you to a new table. 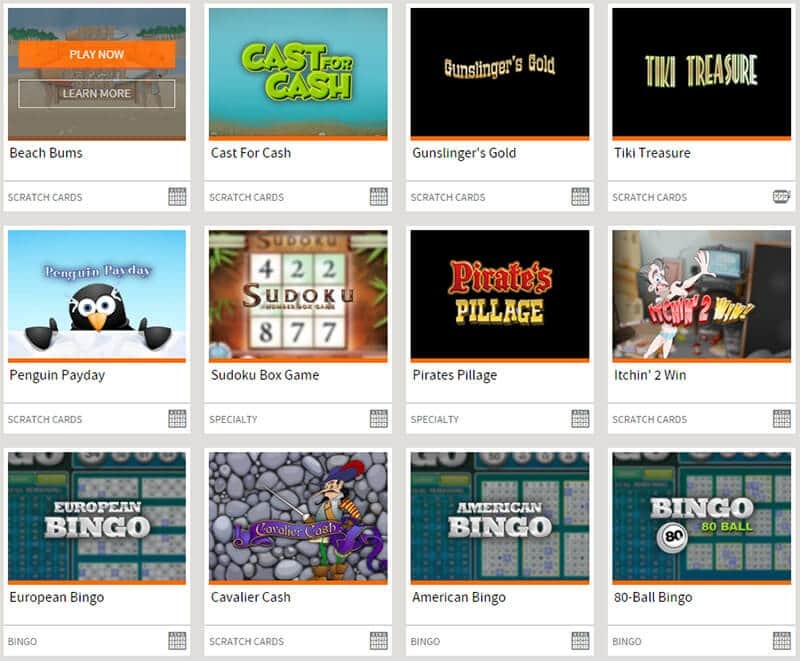 Altogether, Ignition Casino offers a varied range of familiar and innovative games, including bingo, that has something to offer for every taste. In addition to offering video poker of all sorts and many multi-table poker games, this casino also holds regular poker tournaments that have prize pots between $100K and $2 million. On a weekly basis! So, if you have had enough of playing at a regular table, join one of the several weekly poker tournaments, such as the 100K Guaranteed Poker Tournament or the Mad Monday, and put your poker skills to the true test. Being a brand-new and innovative casino, Ignition obviously offers mobile play. But to the contrary of most older casinos that expect you to download and install an app on your mobile device, Ignition Casino has designed its games to be played instantly upon opening the browser. This means that whether you are an Android device user with an older OS, or the proud owner of a brand-new iPhone, or even a Blackberry or Fire Tablet fan - all you need to do to play poker from your mobile device is open your browser! There are many ways of banking at online casino sites, though not all are available for US players. Ignition Casino has utilized all payment methods available to them and to their US player base, and so they accept transactions from all major credit and debit cards, such as Visa, MasterCard and American Express. They have also kept up-to-date and even accept the cryptocurrency Bitcoin, for which they offer detailed explanations and lots of help. When it comes to withdrawing your winnings, you can use the same methods you used to deposit real cash into your Ignition account. But now you have an extra option: the casino can send you a check with your winnings. This will be the slowest of the withdrawal methods but it is still a reliable and trustworthy way of getting your winnings. An important thing to keep in mind is that withdrawals are limited to $3,000 per week per withdrawal method. This is nothing new – many mid-sized online casinos have similar withdrawal restrictions. Just like all other top online casinos, Ignition Casino offers a Welcome Bonus. And just like all other top casinos which you want to be playing at, the Welcome Bonus is very attractive. First, these is a 100% match bonus, which means that Ignition will give you up to $100 to match your first deposit. Once you have wagered this 25 times you can withdraw the account balance as winnings. Not all games contribute to this, however, so its best use is with slots. Another great thing about the Welcome Bonus is that you can bet as little as $20 to start with, so you won't need a lot of cash to start playing. Table games do have their own bonuses. Apart from some weekly promotions that can get you up to $700 of real money a week to wager on games, Ignition Casino also has a Loyalty program based on reward points that you get for each bet you make. This loyalty program has 8 levels, and reaching each new level unlocks all kinds of new promotions, free spins, bonus draws, free chips, and various other extras like birthday gifts. Being loyal really pays Ignition players. Finally, Ignition Casino also has a Tell-a-friend promo, where you can get real cash for getting a friend to start playing at Ignition. You can get up to $100, based on the initial deposit your mate makes. While it is still new, Ignition Casino has a couple of customer service methods in place that work almost seamlessly. You can either call a toll-free number and speak to a living person, or send an email, which will be responded to within a couple of minutes. So far, they do not have live chat - though they do have a delayed response chat option, similar to email but on site. According to their contact information, this chat option is currently being improved. That being said, their email and phone options work almost as quickly and efficiently as a live chat does in other online casino sites. The customer care agents are friendly and helpful, and will efficiently fix any problems you may encounter, as well as any information queries you may have about using the casino website, playing the games or depositing and withdrawing real cash. If you are a US player, then you would have been faced by plenty of brick walls in the past couple of years. It might have even seemed like they were no good online casinos left for you. However, there are still casinos that cater especially for US player's needs and Ignition Casino is one of them. Regulated and stringently audited by a Canadian Gaming Authority, Ignition Casino may be new but it is reliable, trustworthy and very well-run. It offers a wide range of well-known games, as well as newer slots and table games, a good selection of blackjack and poker types in particular, and even regular weekly poker tournaments. There are a lot of things to look for in a new online casino, and Ignition Casino has done well. In 2019 it stands proudly near the top of our list and ticks all the important boxes. With its modern design, easy-to-use menus and wide game selection, it is truly a premier site to gamble at or play poker online. Join Ignition Casino today and get a bonus worth up to $1,000!